In 2018, Europe will celebrate its first European Year of Cultural Heritage after the European Parliament adopted the Commission Decision to designate the year 2018 as the European Year of Cultural Heritage. The European Year of Cultural Heritage aims to encourage people to explore and share knowledge about Europe’s rich and diverse cultural heritage, celebrate, understand and protect the unique value of cultural heritage as a shared resource and a common good, raise awareness about shared history and values, and reinforce a sense of belonging to a common European space. The EEA Financial Mechanism contributed its share to these efforts by having allocated EUR 4 million to three projects of European cultural heritage conservation that were delivered in Slovenia, i.e. : revival of the Archaeological park Simonov zaliv bay, reconstruction of the smelting plant of the Idrija Mercury Mine, and establishment of the Ljubljanica River Experience and Exhibition Site. The results of the three projects are conserved, restored and or repaired cultural monuments accessible to public which contribute to local and regional development, diversify the tourism offer and make local or regional area much more visible and recognisable. With an allocation of EUR 9.4 million the EEA Financial Mechanism supported 10 projects of conservation and revitalisation of natural and cultural heritage, biodiversity and ecosystem services, and environmental monitoring and integrated planning and control. Support to such areas comes even more important in light of efforts towards unleashing green, sustainable and creative potential of our country. 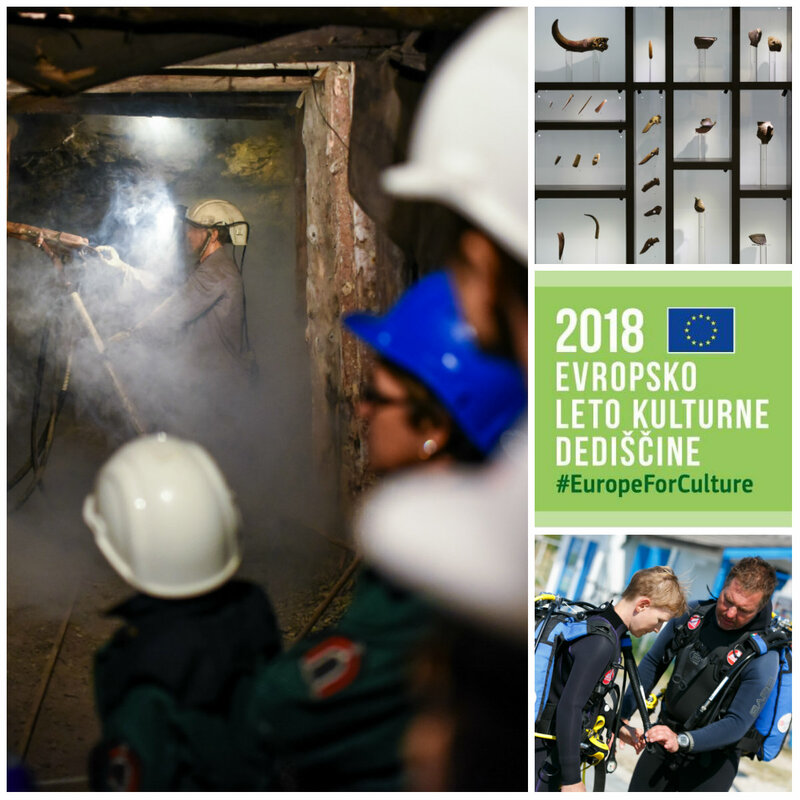 European Year of Cultural Heritage 2018, an unprecedented year of events, celebrations and activities taking place across the whole of Slovenia, will take these efforts to the next level. The events will be listed on a special online events calendar created by the Ministry of Culture which has been appointed national coordinator of the European Year of Cultural Heritage. The role of cultural heritage in terms of its contribution to the economic growth and social cohesion in Europe is often overlooked and too often underrated. Cultural heritage boasts an enormous potential for economic development as it can support cultural and creative industries, foster creation and innovations, promote sustainable tourism, strengthen social cohesion and create long-term jobs. Throughout 2018, activities and events will be carried out focusing on raising awareness about our common history and values and underlining the role of cultural heritage in building stronger society and individuals and contributing to economic and sustainable development.